Learn how to inject Tev Tropin safely. There are many reasons why it is vital to know how to inject Tev Tropin correctly. When you use this kind of medication or any injectable solution, you want to make sure that you keep all bacteria away from the injection site, the vials and the needles. This is why many alcohol pads are needed. You must go through the injection process slowly, step by step to make sure to keep it sterile and safe. You do not want to get a negative reaction when you deliver your medication. How do you keep your medication delivery safe and harm-free? Always thoroughly wash your hands with soap and warm water before beginning your self administration process of your Tev Tropin injection. Thoroughly clean the area where you lay down your medications and supplies. You should use a clean, sterile, non-slippery and flat surface. Make sure to have enough alcohol pads, cotton balls or gauze pads and bandages nearby when you begin to prepare your solutions and inject them. Always wipe the tops of your vials with an alcohol pad after you take their caps off. You will wipe the top of the rubber stopper from one side to the other in one sweep. Always make sure to cap your needles when they are not in use. Always make sure to clean your Tev Tropin injection sites to remove bacteria away before you inject your sterile needle. You will do this by rubbing the injection spot in a circular motion from the inside outward. Make sure to always cap used needles and throw them away in the sharps container. You will also discard all wipes and anything else that is used from the injection process. By following your prescription and taking the exact amount of Tev Tropin dosage for adults that your doctor has prescribed for you, you should have a smooth HRT experience. Where you get your medications; however, is just as important as learning Tev Tropin how to inject them. Continue reading to get more information on staying safe with human growth hormone medications. When partaking in a hormone replacement therapy program, every part of the experience is important. That includes getting the correct medical diagnosis from proper testing, getting the correct prescription and Tev Tropin dosage from the doctor and where you buy your injections. You should only get your Tev Tropin injection device from a reputable and known clinic that has a successful track record in working with patients. Never purchase your medications from overseas, from the black online market, from websites you do not know or from anyone outside the medical profession of endocrinology (or a closely related field of medicine). If you work with anyone non-reputable or a clinic that does not mandate testing, patients being over 30 or misses any of the important rules and laws regarding HGH usage, they are not practicing correctly. Stay away from clinics that do not follow the laws set forth by the government concerning HGH usage. The clinics that offer cheap injections without testing or medical supervision can lead you to a lot of trouble with negative side effects from fake or tainted Tev Tropin usage. Never use medications that you find in places that are not known. When injections are made cheaply, they can contain bacterial residue in them and be very dangerous causing some severe side effects. Only use a clinic that you know sells 100 percent pure and real Tev Tropin medications. The cost for the injections will be worth it in the end. The clinic should also help patients with learning how use the exact right amount of medication that gets prescribed. The doctors should give you all of the other Tev Tropin dosage info that you will need as well. Any HRT clinic should have clinical advisors that are well trained to help you through every step of your therapy. There is a specific procedure on how to use your Tev Tropin injection device. 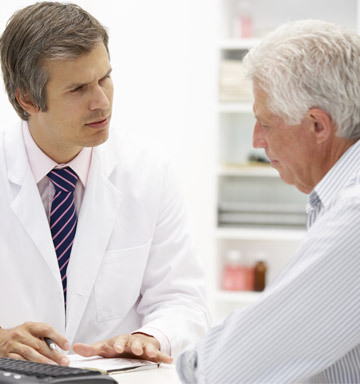 Your clinical advisor should be able to help you with the exact steps when you begin your treatment. It is important to follow the exact directions in preparing the device and then using it. Since there are many different steps that go into using the Tev Tropin Tjet Injector system, you should always learn what they are from a qualified professional. They will teach you about each part of the injector, what it does and then exactly how you use the device. The Tjet Tev Tropin device must be used with a vial of reconstituted medication. This means that you will mix your Tev Tropin powder and bacteriostatic water (following the correct instructions) and then use that vial of medication with your device. The Tjet uses a needle-free head which attaches to the device. You are only to press the injector button on the pen when the needle-free head is attached and never point it at another person because it is spring-loaded. The Tjet needle-head should only be used for up to one week. Do not use it for any longer period of time than seven days. After that, you will need to use a new needle-head. The Tev Tropin Tjet injector has solid red and black bars in its dosing window. These are to show when the device has enough medication in it and shows you not to wind the device any longer. Always keep your device refrigerated. Never store your Tjet when it has medication in it. This could cause it to break. Never share your Tev Tropin Tjet injector with another person. There is a lot that goes into using the Tev Tropin Tjet injector device. Our clinical advisors will help you with everything that you need for a successful HRT protocol. You will never be alone when learning how to inject Tev Tropin or anything else when you practice your hormone replacement therapy with Greenberg Health.